A group of seventh graders from the Park City area head taken charge of a uniform donation around the community. The girls from left to right are Kassidy White, Phoebe Anderson, Carson Favero, Kate Alderman and Mayme Hansen. Before she was recently appointed to be the executive director of the Park City Soccer Club (PCSC), Shelley Gillwald was in charge of putting on the Park City Extreme Cup, one of the largest youth soccer tournaments in the nation. The responsibility of running the event made Gillwald became a visible person in the community, which is why many have reached out to her to help with donation drives and service projects. One of those people was Tracy Evans, a three-time Olympian and founder of the Kids Play International program. For years, Evans tried to convince Gillwald to get PCSC to participate in a uniform drive. She wasn't able to do anything about it until she assumed her new role as the club's executive director. "Previously, I wasn't in the position with the club," Gillwald said. "I just ran the tournament. I wasn't in a position to facilitate anything happening." Thanks to the growth of the club, though, Gillwald was brought on full time and was able to get projects, such as the uniform drive, off of the ground. But her new position prompted more inquiries for the club to take part in additional drives or donations. At some point, they got a little overwhelming to handle. Gillwald was able to contact certain places to set up drop-off locations for the uniform drive, such as the PC MARC and Basin Rec, but there was more work to be done with this project. She needed more manpower in order to really get the most out of the uniform donation. Enter five seventh-grade girls, all Park City residents, who, with the help of their parents, were able to take this simple uniform donation and turn it into something bigger. "They stepped up and completely took it over and expanded it well beyond the vision of what I originally had," Gillwald said. "It's just blossomed." The group of girls — Kassidy White, Carson Favero, Mayme Hansen, Phoebe Anderson and Kate Alderman — volunteered to step up and take over the project, taking it off the hands of Gillwald. All of them go to middle school at Ecker Hill, except for Mayme, who attends Weilenmann. Three of them — Kate, Phoebe and Mayme — all participate with the PCSC, while the other two are friends who thought it would be fun to tackle this service project together. "They were super excited." Trish Alderman, mother of Kate, said. "The girls have been great. They have been decorating boxes and taking them around and collecting from different teams. They've been all over." Lucky for Kids Play International, the PCSC was going through a uniform cycle this year, making the uniform donation easier considering each of the club's members (more than 400) needed to get new digs. The girls didn't stop at that. They reached out to more businesses and companies in order to find out how they could make this donation a huge success. They eventually discovered that Kids Play International not only needed uniforms, but equipment of all kinds from various sports. 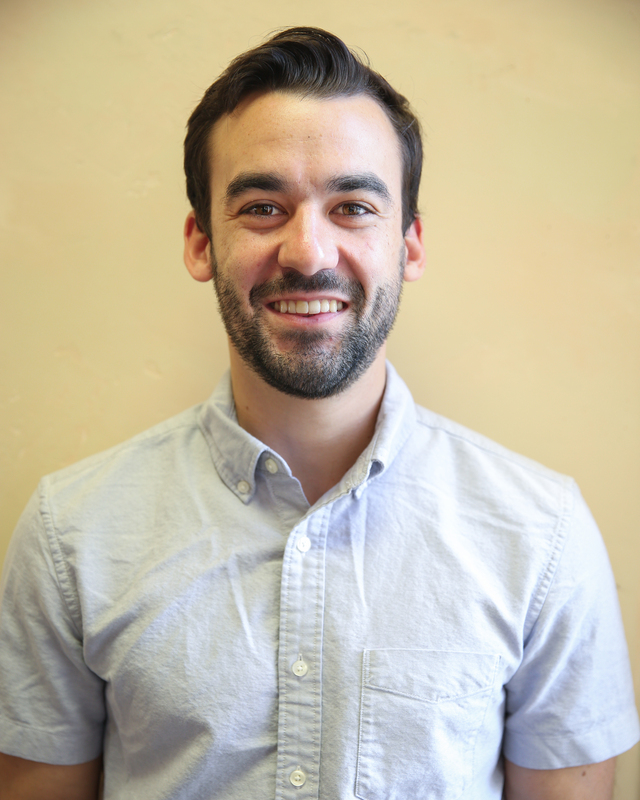 Additionally, another group got involved called Break-Thru Soccer Club, a refugee club in Salt Lake City that was calling for more uniforms and soccer-specific equipment. From soccer balls to nets to any sort of athletic clothing in any sport, the girls started collecting everything they could. They started within the club and are now coming up with game plans and strategies to get the most out of the Park City community. Alderman mentioned that, as a parent and what Gillwald calls a "gold-star volunteer," she was always willing to help out. With this project, though, it's been mostly her daughter and company who have done just about everything. "We're helping as much as they need, but we try to let them make the phone calls to the different coaches and stuff like that," Alderman said. 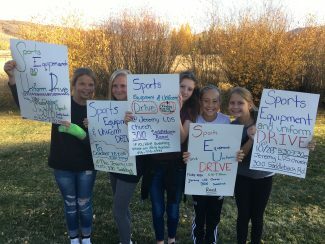 The group of girls are still collecting items up until the end of this month and will be hosting a community drop-off at the LDS church in Jeremy Ranch on Oct. 28. If you can't make it, the group is willing to pick up your donations (with the help of the parents, of course). This project has turned into a huge success for the girls and PCSC, as a whole. When the club needed help, it was this group of seventh-grade girls that stepped up so that their old uniforms and equipment will not go to waste. "I am incredibly proud of these girls, their vision, compassion and hard work," Gillwald said.